Say what you will about DARTZ, but you can’t deny that the Latvian maker of fever-dream-opulent armored SUVs is possibly the least risk-averse carmaker in the world. Whether it’s using unexpected skin from animals and animal parts for seat leather or, as they’re doing now, becoming the first carmaker to sell their cars for cryptocurrency, the gang at DARTZ will seemingly try anything. 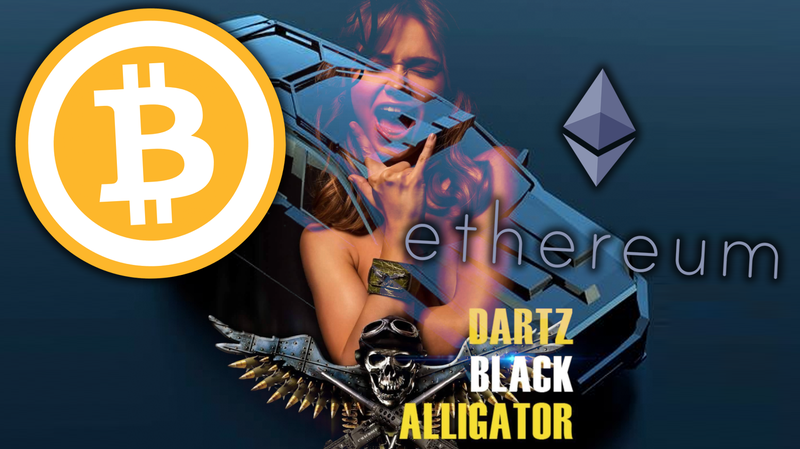 Yes, at this moment, if you want to buy a brand-new car using your hard-mined Bitcoin or Ethereum, you have exactly one choice: a DARTZ Black Alligator. The Black Alligator is set to be officially unveiled on July 1st at the Gumball 3000 rally, but if you want to place your order with Bitcoin right now, have at it. So, let’s break this down a bit: a DARTZ Black Alligator can be communally purchased (via a system developed by Scandiweb, who has worked with Jaguar/Land Rover, among others), and then rented out to make money back for the group. In many ways, DARTZ is actually beating established companies like the Volvo/Geely joint venture Lynk & Co to the communal ownership/car sharing punch. We wanna facilitate the rent by established supercar renting companies in the respective areas. So, it looks like this communal ownership/car sharing model is also designed to help supercar rental companies get Black Alligators into the hands of people who want to feel like a wealth-addled oligarch for a night. This also means that if you have some GPU-crammed PC shoved in a closet diligently crunching numbers and mining Bitcoin for you, now you have a goal. You can essentially turn electricity into an insane SUV! I mean, eventually.